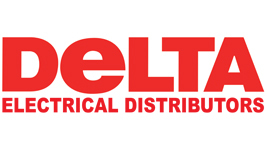 Delta Electrical Distributors supply high quality products at competitive prices from our three branches in Victoria, Australia. Delta Electrical | www.deltaelec.com.au | All trademarks are property of their respective owners. Copyright © 2019 Delta Electrical Distributors Pty. Ltd. All rights reserved.